An Aberdeen BB company has received a massive funding boost to support the delivery of digital skills for young people. 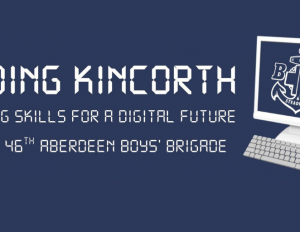 The 'Coding Kincorth; Building Skills for a Digital Future' project beat off competition from other local projects to receive a total of £3730 which will be used to deliver and promote digital skills amongst its members. The boys, parents, carers, friends and family all pulled together for the UDecide event at their local community centre in Kincorth, Aberdeen. The BB company along with other organisations from the local community gave presentations on their projects and then residents of Kincorth above the age of 10 were able to vote on the projects that they would like to have funded. 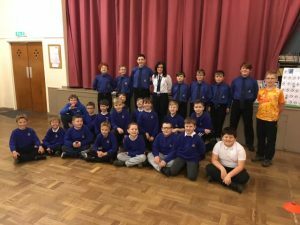 “We are looking forward to delivering STEM activities and our Boys are looking forward to learning new skills and getting a chance to try out new technology, it will be a really good way to engage with them. The equipment will include Raspberry Pi programming devices, Lego Creator Kits, Fisher Price computer toys for younger boys and ‘build your own’ computer kits. Using these new resources, the volunteer leaders at the 46th plan to deliver sessions including computer programming, graphic design, stop-motion animation, podcasting and desktop publishing and will also be equipping Boys with the skills to use IT and the Internet safely. You can find out more about the 46th Aberdeen by visiting its facebook page.